Wernher Behrendt is Senior Researcher at Salzburg Research. He is co-ordinator of the IKS Project which is bringing semantic technologies to open source content management systems. One of his on-going research interests is the notion of knowledge content objects which are intended to capture human-readable knowledge as well as the „translation“ of that knowledge into machine-readable representations. Wernher holds a Mag.rer.nat in English and Geography (Karl-Franzens University Graz), and an MSc in Cognitive Science (Victoria University, Manchester). From 1989 to 1995, he was a Senior Research Associate in the Informatics Department at the Rutherford Appleton Laboratory (UK), working on embedded knowledge based systems in distributed multimedia presentation systems and on the methodology for building industry-strength knowledge based systems. From 1995 to 1998 he was a Senior Research Associate at Cardiff University (UK), working on interoperation between heterogeneous information systems. 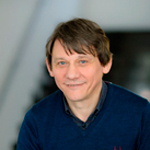 Wernher developed and taught courses on Computer Science and has worked on research projects ranging from software engineering methods and quality assurance to the reengineering of legacy information systems using distributed systems middleware. His scientific interests include automated translation and migration techniques, and the inclusion of the logic programming paradigm in standard software engineering. He sees a great intellectual challenge in transferring the theoretical results of computer science into clean prototypes that allow for real-world experimentation and for feedback into the theory. In the IKS Project, the challenge is not only concerning the research, but also the ability to transfer scientific knowledge into real innovation. This means the technology must have measurable impact in the markets of those firms who use the technology to create better products. Another „mediating passion“ for Wernher is to bring computer science to the Humanities, because he believes that computing gives the humanities not only productivity tools, but also a chance for philosophical dialogue leading to a new common understanding of the world. Likewise, the humanities give software engineers insights into the marvellous complexity of human cognition and communication, leading to a deeper appreciation of what computers can do and why computer software sometimes makes us scream in frustration. Wernher Behrendt	(2008): Knowledge Based Systems in Industry – Ontology Pays Half the Rent	In: S. Borgo and L. Lesmo (eds), 2008, Frontiers in Artificial Intelligence and Applications, Conference Proceedings of FOMI - Formal Ontologies Meet Industry, IOS. Wolfgang Maass, Wernher Behrendt and Aldo Gangemi	(2007): Carrier Model for Semantically Annotated Information Goods	In: Journal of Theoretical and Applied Electronic Commerce Research (JTAER), 2(3), p. 18-35, 2007. Wolfgang Maass, Sunil Goyal, Wernher Behrendt	(2004): Knowledge Content Objects and a Knowledge Content Carrier Infrastructure for ambient knowledge and media aware content systems	In: EWIMT workshop "Content, user and network aware media engineering"
Tobias Berka, Wernher Behrendt, Erich Gams, Siegfried Reich	(2002): Recommending Internet-domains using trails and neural networks	In: In Proceedings of Adpative Hypermedia and Adaptive Web-based Systems, Malaga, Spain, LNCS 2374, pages 368-371, Berlin/Heidel-berg/New York, 2002. Springer.